Hyper-V lets computers run on multiple operating systems. 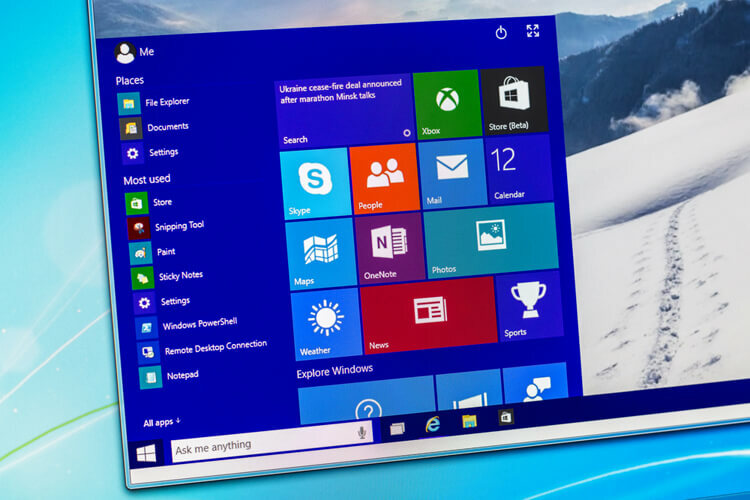 It poses certain installation difficulties in Windows 10, but not if you follow these steps. 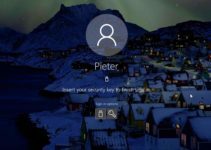 Windows has an option to run your computer on more than one operating system. The software is called Hyper-V and since it’s not loaded as a default program on Windows 10, people may find it difficult to install Hyper-V on their system. There are ways you can work around this issue and have Hyper-V working properly on Windows 10, but you must be aware that the Hyper-V feature is not available on all versions of Windows 10. 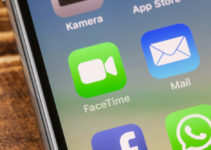 It is only compatible with three versions—Windows 10 Enterprise, Windows 10 Professional and Windows 10 Server. These versions enable the installation of Hyper-V. 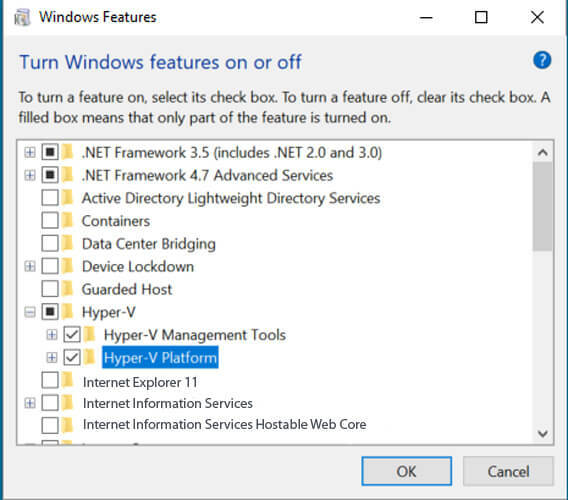 If you are doubtful whether you can install Hyper-V on your Windows 10 version or not, there’s a way to check that, too. 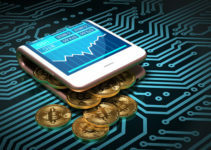 The very first step would be to carry out the virtualization of the CPU. This has to be done by accessing the BIOS setup on your computer. You will have to reboot your computer and just as it starts, you need to press the F2 key and the Del key together to take you to BIOS. Depending on whether your CPU is Intel or AMD, you need to use the keyboard to reach the Advanced Settings within BIOS and then within CPU configuration, look for Intel Virtualization Technology and enable it. You will then be asked to choose accept the change and reset. 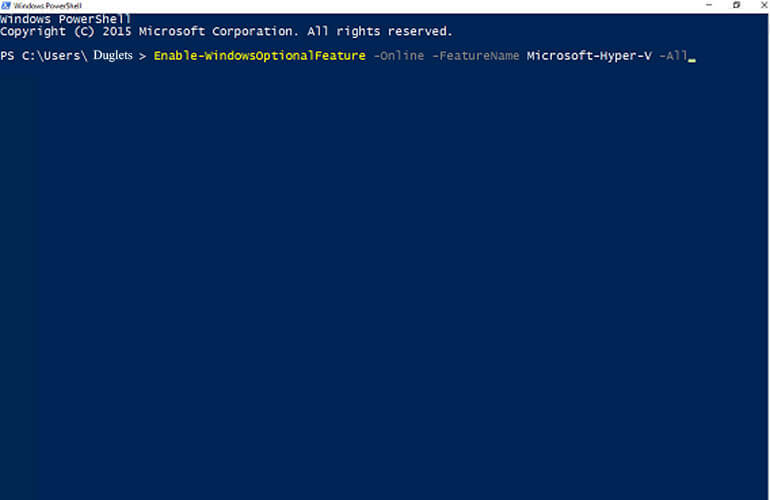 You can now go back and try and install Hyper-V on your system. Type “Hyper-V” in the search window. Click on it to open the Windows Features page. There would be a long list of items on this page with square boxes on their left and in some cases the + symbol as well for further sub-listings. As you scroll down, you will find Hyper-V; click on the + sign next to it. There will be two options there: Hyper-V Management Tools and Hyper-V Platform. You will have to click on both the boxes to select them. You will now be presented with the information about whether you can install Hyper-V on your system or not. If you have doubts, you could do this process first and then go back to the CPU virtualization steps through BIOS and then come back to enable Hyper-V. As mentioned above, keep in mind the exact process for an Intel CPU or an AMD CPU. 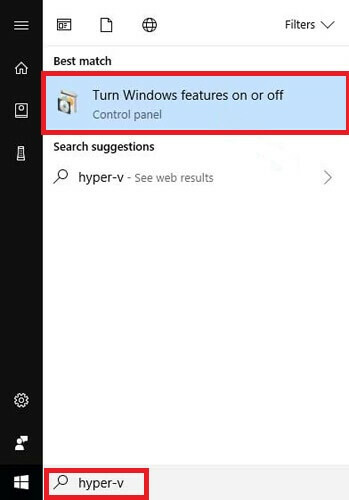 On step 8 above, if your computer permitted you to enable both Hyper-V Management Tools and Hyper-V Platform, you need to click OK at the bottom. The moment you do this, the installation of Hyper-V will start with a progress bar showing the installation. When the installation is complete, you will get a prompt to reboot your system for the changes to take effect. You can double-check that the task is completed by typing “Hyper-V” again on the search box and if you see “Hyper-V Manager” there with an icon beside it, it’s all done. 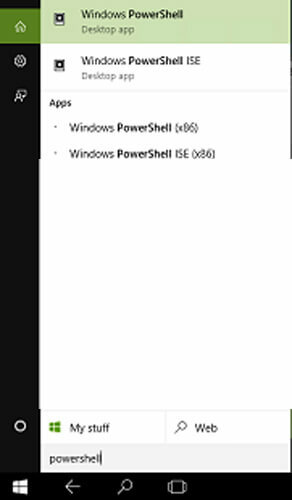 You will get a bunch of results and you must choose “Windows Powershell” and “Run as administrator” appearing just below it. You will be presented with the window that you always get which asks your permission to make the change to your computer. Click “Yes” here. A DOS command window will appear with the above command you typed. Press Enter. The installation process will start and once complete, you have to restart the system for the changes to take effect. DISM here is the acronym for Deployment Image Servicing and Management. It is a tool that’s deployed to help with certain Windows pre-installation steps. The next step would be similar as well; clicking on “Yes” to the question if you wish to allow changes to be made to your computer. Note: You need to be sure you are not making any mistakes with the letters or the spaces. You can even copy/paste the command to be absolutely sure. Press “Enter” to let the change take effect. You will get a prompt if you wish to restart your system in the DOS window and press the “Y” key to confirm. The Hyper-V software turns your computer into a virtual machine, as if you are using multiple systems in one. The CPU is ready to accept additional operating systems over the main one, in this case, the Windows 10 OS.